Our finest traditional loin and paprika recipe, popular with all ages. Ideal for grilling or frying: A delicious meal after 2-3 minutes at a high heat. Pork loin (90%), water, salt, sugar, spices, paprika, antioxidants (E-301 and E-331), stabilizers (E-451 and E-452) and preservatives (E-250 and E-252). Pork loin with a distinctive touch of garlic and spices. Enjoy a succulent dish at your table in a few minutes. 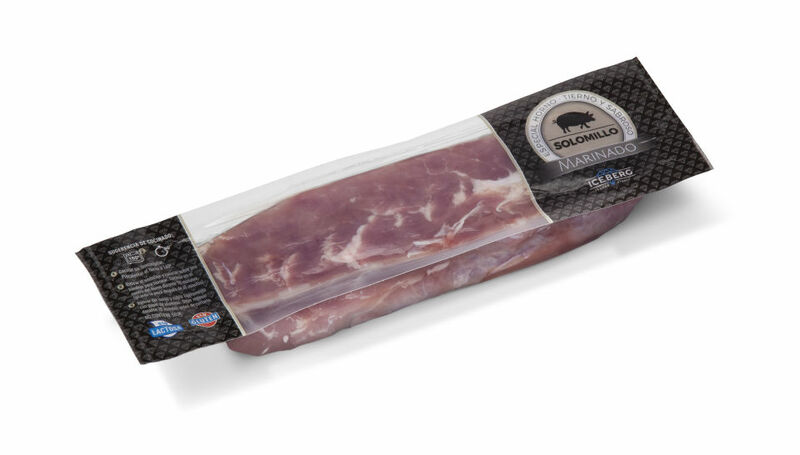 Pork loin (90%), water, salt, sugar, spices, garlic, antioxidants (E-301 and E-331), stabilizers (E-451 and E-452) and preservatives (E-250 and E-252). A delicious tasty and very tender cut that gives you many options in the kitchen: cook it in the oven without defrosting or, more traditionally, defrost it and cut into medallions before preparing this very special dish. Pork fillet (71.4%), water, salt, glucose syrup, pig protein, antioxidants (E-331, E-301), yeast extract, stabilizer (E-407) and vegetable fibre. Medallions are ideal for making a meal a success. Quick to prepare, the result is always fantastic. Each medallion weighs approximately 70 grams, and they can be fried or cooked in the oven or in a sauce. Pork fillet (75.7%), water, salt, glucose syrup, starch, yeast extract, pig protein, stabilizer (E-407, E-415), vegetable fibre and antioxidant (E-301).